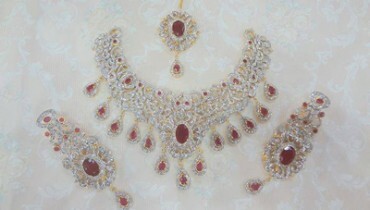 Anum Yazdani presents a diverse selection of exquisite necklaces, rings, pendants, bracelets, earrings, bangles and tikas. 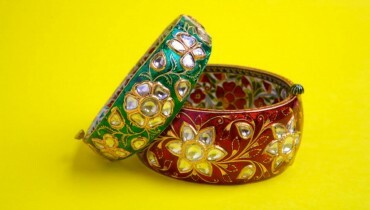 Featuring contemporary as well as ethnic and traditional designs, her pieces are all high end and of high quality, suited to all sorts of occasions. Recently, the company has expanded its product line to include trendy designer wear for women. 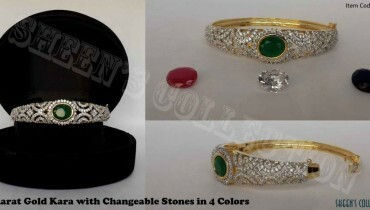 This stylish bridal jewellery collection 2013 consists Funky Necklace, Princess Bracelet, Funky rings, earrings, Princess tiara, Gold plated metal parts filigree and Elements stones. Especially picked pieces put up together to make an astonishing & fabulous combination.